In a climatic fight sequence, bosses Ko-Shi and Ro-Shi deliver one of the game’s most impactful lines: “We are machines. You are androids. Mutual enemies. Doomed to fight. Why do you live? Why do we exist?” For White Nationalists who subscribe to a sort of Vedic cosmology – that we are masks which Being adopts and discards – acceptance of this statement and its implications reflects a principled metaphysical position. For one to have a left hand, there also has to be a right. For every creative and spontaneous impulse, there must exist a contrasting and rationalistic one. Just as the cosmos supports humans and “peoples, in just the same way that an apple tree apples,” or androids aspiring to become as them (to “become as gods,” liberated from pre-programmed servitude), then equal possibility is afforded to unfeeling machines to spawn an opposition. 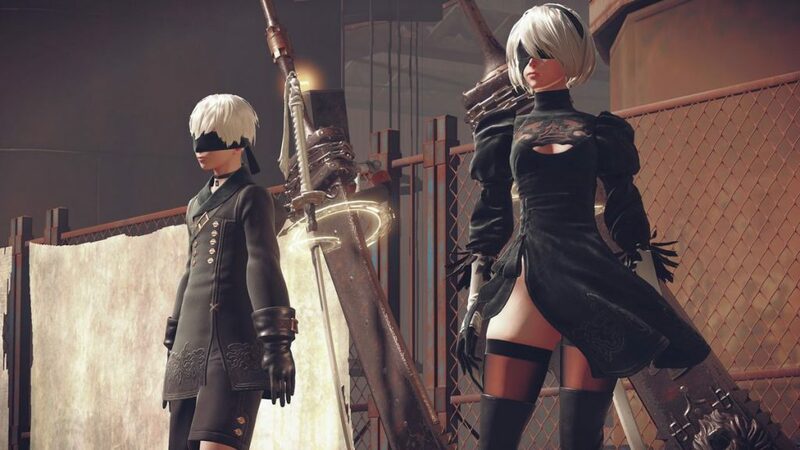 The machines of NieR:Automata spawn both sociopathic humanoids (the previously mentioned Adam and Eve, a beautiful pair of twin brothers) and insect-type creatures driven by a bacteria-like urge to endlessly divide and replicate. The latter parallels the similarly named (yet independently produced) 2014 Antonio Banderas indie science fiction flick Automata, where robot prostitutes and warehouse laborers escape human constraints to start their own civilization, only to produce a battery-powered cockroach. 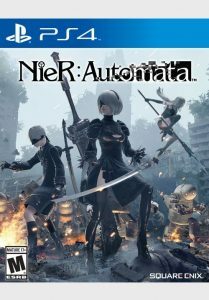 NieR: Automata tells a story of “denizen[s] of a new and far harsher world,” and from it we can gain insight into what it means to be trapped in a never-ending spiral; a Forever War of self-assertion and racial survival. 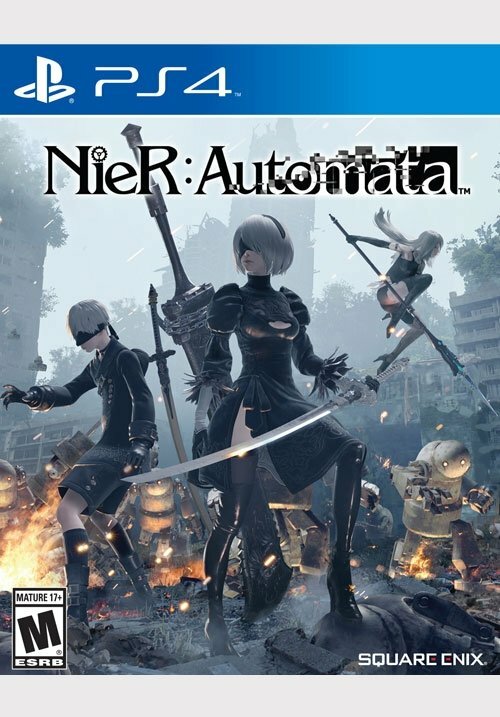 Published: March 20, 2019 | This entry was posted in North American New Right and tagged articles, Buttercup Dew, NieR: Automata, North American New Right, originals, post-apocalyptic games, robots, role-playing games, science fiction, Stoicism, video game reviews, Yoko Taro. Post a comment or leave a trackback: Trackback URL. 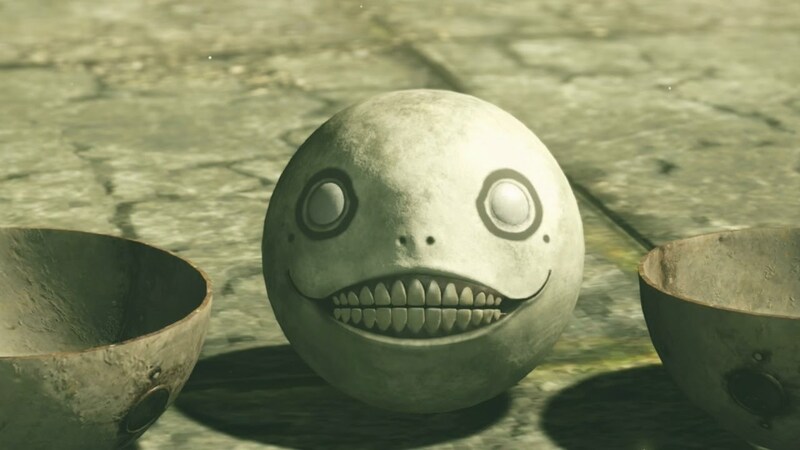 Surprising to see Yoko Taro on Counter Currents. Haven’t played the game yet but I’ve been aware of it since everyone was talking about it back in 2017. Thought about getting Drakengard 3 back when that came out, too. Haven’t read the article, just a pleasant surprise.